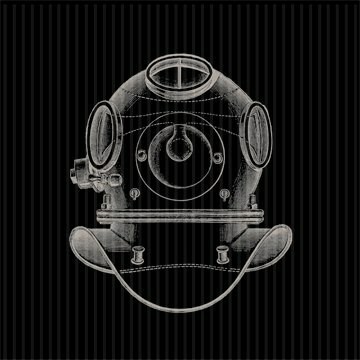 Led by Andy Davenhall and Christian Fulghum (who co-founded Sister Psychic), they now make up the four piece band THE DIVING BELL. Hailing from Seattle, Washington, this is both the first release from Fin Records and the Diving Bell. This is our first encounter with both of these names. Fin Records is still a fairly new label also based in Seattle, releasing other material from the likes of David Hahn and Whiting Tennis. Perhaps we’ll have more on those names later, but for now, the Diving Bell are in the process of releasing a set of 7″ singles which will lead up to their debut full length coming later this year. The second single of their set is set to be released this summer, while the one we have here is the first. “Shooting Star, Falling” quickly sets the tone for the Diving Bell name, with the hook of the song coming through in the delayed guitars as the steady rhythm pulses underneath. Big and lush sounds are warmed by cosmic, otherworldly vibes which seem to be floating high up in the clouds, masked by a mysterious yet hopeful layer of warmth. Passionately sung lyrics sit atop gorgeous productions and the hope of good things to come, with vocals that somehow seem obviously familiar and matured. On the flip side you’re met with a much more darkened pop number in regards to the first, which could almost sound like two different bands if you didn’t know any better. Still as powerful, “Louisiana Highway” is just as rich and engulfing as you should expect it to be. Davenhalls lyrics paint provoking scenarios of grossness, following an old and smelly homeless man who may or may not be schizophrenic. The thick and murky sounds will slowly reel you in until there’s no escaping, broadened by reverberating bass lines and a precariously glowing organ which dominates the majority of the track. Now if that’s got you thinking, you better check out both of these tracks below and snag that jawn before it’s too late. 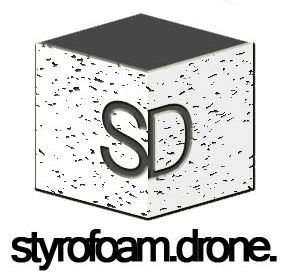 Posted on June 22, 2011 by styrofoamdronePosted in 7", ReviewsTagged alternative, dream pop, indie rock. It’s funny (as in more then just ironic) that the reviewer tagged Kid Incarus as “obviously familiar” and they’re from “Dunemore” PA. That is exactly where both my parents grew up in the middle of the last century.. More then just coincidence?